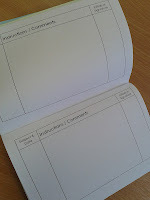 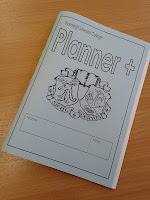 This morning I have uploaded the Planner+ booklet we use to help KS3 students with organisational difficulties. The booklet contains some advice pages focusing on spelling, staying organised, managing stress etc. 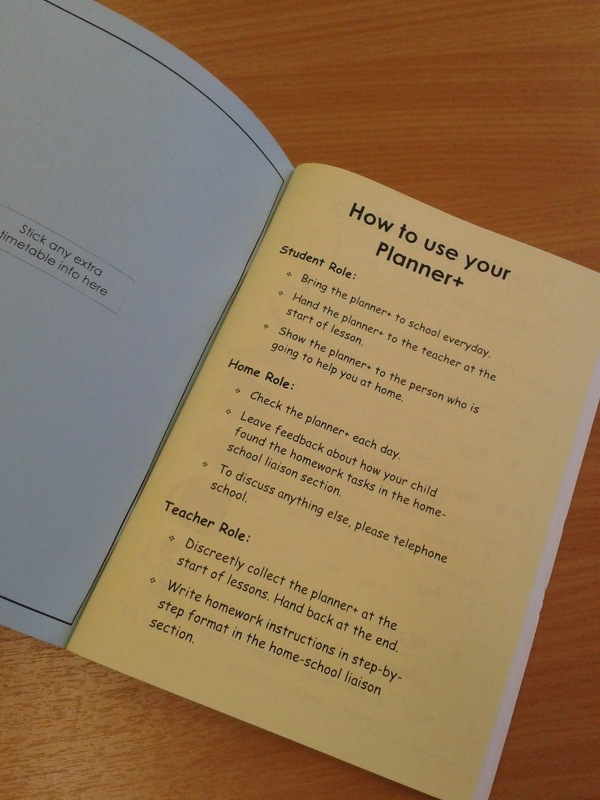 - the centre bit of the booklet has a bundle of notes pages which subject teachers and parents/carers can use to stay in-touch with one another. 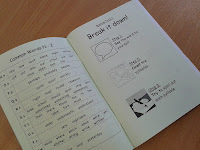 Although many of our parents/carers now use email, some still prefer this system. 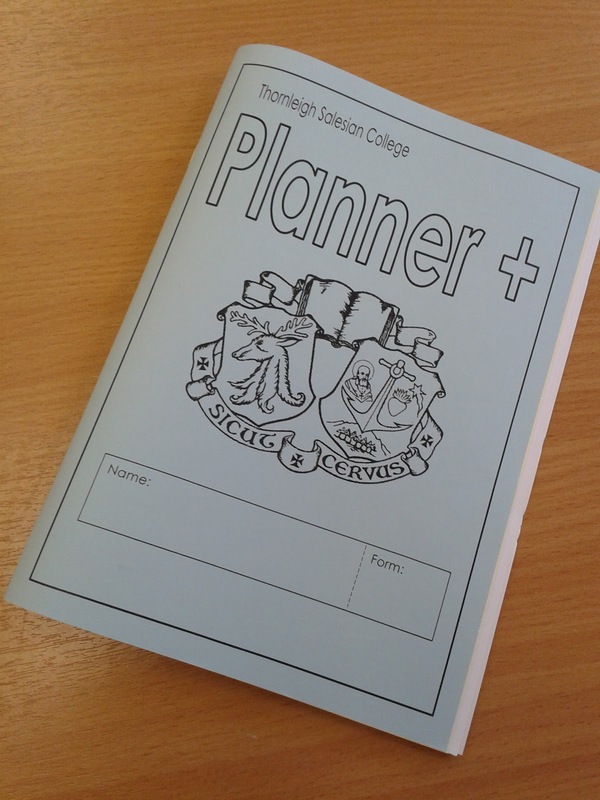 We have also had a positive response from our students as prior to this they were given an exercise book marked 'Home School Liason Book' and they felt a stigma was attached to it (plus they tended to get it lost amongst their other exercise books). 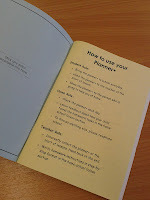 The booklet can be printed out on different coloured paper to assist students with using it and make it look professional / attractive. Pictures of the completed version are shown below.